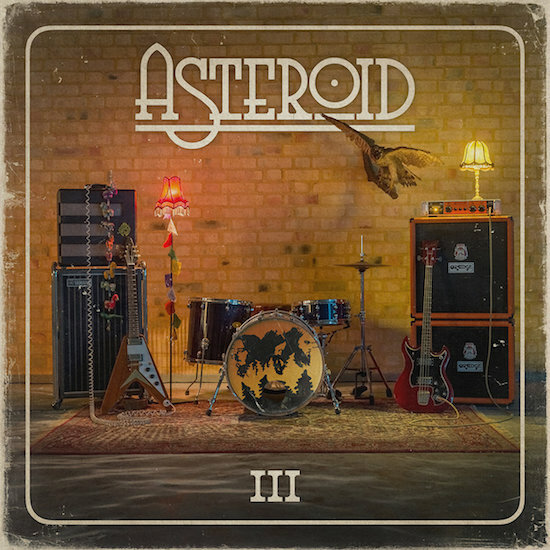 “Stripped back” is the most appropriate term to describe III, the latest album of Asteroid, a psych-fuzz, stoner rock, riff-welding trio from Sweden. Taking influence from all of the groovy goodness of psych and stoner rock – including the intrinsic influence of Black Sabbath and stoner influence of Kyuss and Soundgarden – Asteroid serve a meal of audial pleasure that’s as familiar as it is exciting. It’s clear from the six-minute opener of ‘Pale Moon’ that things are going to be different. Whereas previous release II began with an instantly identifiable riff, before moving shortly-after into a bigger riff-y verse, Asteroid begin their latest release with a slow-burning, psychedelic crescendo, featuring plenty of slide guitars and rolling rhythm sections. At a first listen, it sounds tame in comparison; the band eschew mounting textures, noise, and general oomph. But, that’s not the intention of III. It’s not trying to deliver explosions and anthemic stoner rock. Instead, it’s the trio pursuing psychedelic charm. Conversely, tracks like ‘Wolf & Snake’ bring the old-school, fuzz-filled fury of swung drums and tightly-fixated rhythm sections that would sit straight into their previous discography, but even in these moments, everything about the album feel undeniably laid-back. And when album closer ‘Mr. Strange’ closes with rapid solos and forceful dynamism, it still feels effortless, calm and relaxed. The production also feels considerably more open in comparison to their older material. Less condensed and with a wider scope, the album sounds as though the band members arrived at the studio, plugged in their instruments, and recorded for thirty-five minutes straight. It’s easy-listening without sounding disengaging, with a feel that emulates the rush of Led Zeppelin and the ease of Pink Floyd. Elsewhere, tracks such as ‘Til’ Dawn’ bear the markings of Black Sabbath Sabbath’s ‘War Pigs’, including that familiar loud-quiet dynamic, and a psychedelic outro of soaring vocal melodies and gear changes. Special mention must be made to drummer Jimmi Kohlscheen, whose musicianship drives and pushes the closing moments with its jazz-inspired momentum. Meanwhile, the tactfully placed folk-inspired ditty ‘Silver & Gold’ helps divides the album, with its metaphoric imagery of riches and Satanic references. Then there is ‘Them Calling’, the heaviest track on the album, borrowing influence more akin to recent fuzz-contemporaries such as Truckfighters and Uncle Acid and The Deadbeats. While the songwriting on III is stellar, the same cannot be said about the lyrics. It’s quintessentially psychedelic – with its folk-inspired imagery and heavy use of metaphors – but alike their previous release, it’s disappointing that the corniness infused in lines such as “Wolf and the Snake! / One and The Same!” makes an appearance once again, just like “I met a strange lady in the woods one night!” made an appearance on their previous album. Thankfully, the amount of instrumental groove completely overshadows this downfall, and furthermore, bassist/vocalist Johannes Nilsson isn’t trying to be some Orwellian poet. The lyrics do carry a charming and endearing psychedelic quality (such as “A grave with inscriptions / Words riddled and far” on ‘Silver and Gold’) that likens to those that Geezer Butler may have written. It’s in no way a cause for concern with the listening experience, but it’s definitely not the most ambitious of lyrical approaches. 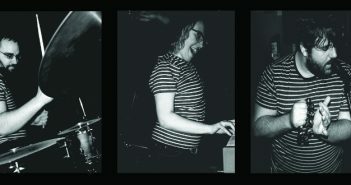 All in all, Asteroid deliver a stellar third outing in III. The band proves themselves as a trio that can experiment without moving too far out of their comfort zones. They’re self-assured, whether that’s the tightness of the rhythm section, or the virtuoso poise that guitarist Robin Hirse adopts when comfortably soloing. It may take a few listens to really hook into, but III is easily one of the tightest voyages into stoner rock and psychedelia that you’ll hear this year.